Well, we didn't get the 50 inches of snow as I predicted for April. It was worth a shot. Instead we had the driest spring in my 12 year history. 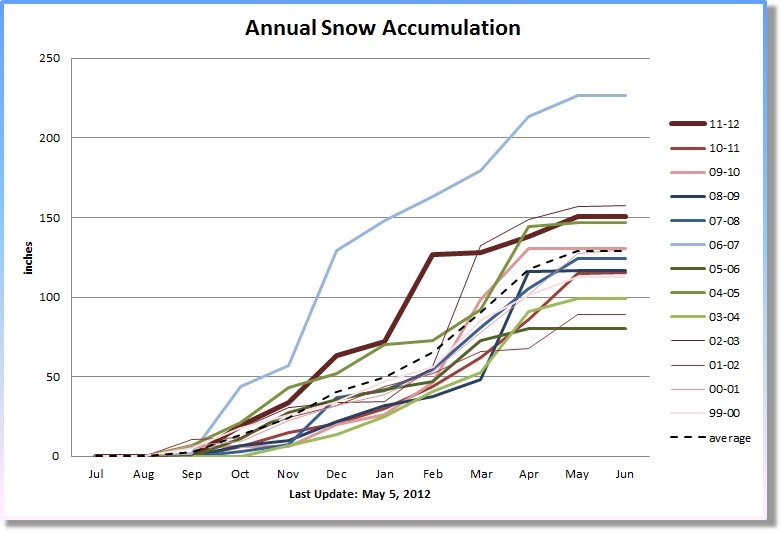 But nonetheless, we also had the third most snow for the whole season during the same period.